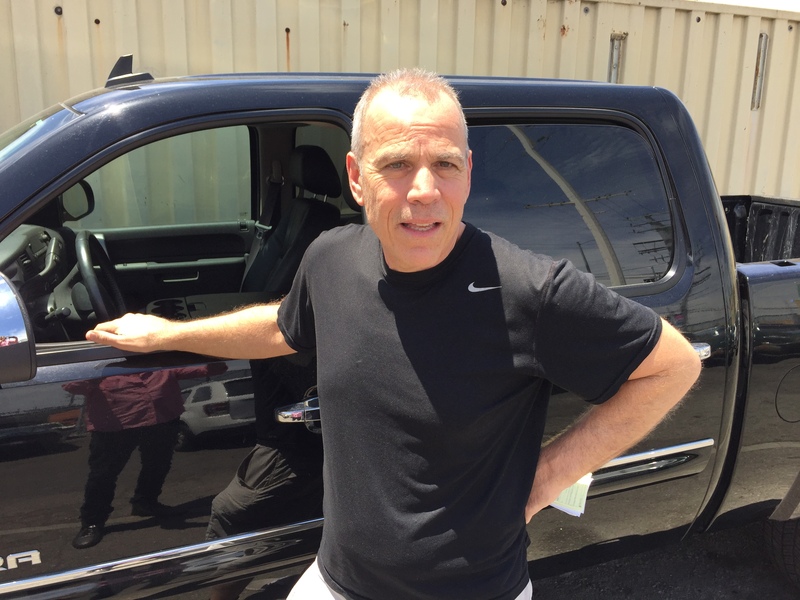 Want to learn how to sell a car in Los Angeles? It’s easy if you call Dennis Buys Cars. We will buy your car and make it simple and hassle free. 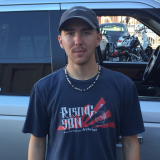 Dennis has been in the same location for over fifteen years and has bought thousands cars cars from people like you. Because we know that you are busy and time is a precious commodity, our aim is to get the job done in quickly with minimum effort on your part. We will have you paid safely and in a complimentary on your way home in less than twenty minutes. Is your registration expired? Not a problem, we can buy your car as it is. We will adjust the price we pay and you will not be responsible for any future renewals. Did you lose the title? Not a problem, as long as you are the registered owner and have a valid ID we can purchase your with an Application for Duplicate Title and we will handle the rest. Do you still owe money on your car? Not a problem. We can contact your lender and determine how much you owe relative to what we can pay. If your car is worth more than what we can pay then we pay you the difference and forward the balance amount to your lender. Your liability is released and we are now responsible for securing the title. Did your car fail a smog test? Not a problem. We can buy your car “AS-IS” and you are no longer responsible for any further repairs. Do you want to be paid in cash? Not a problem. We will pay you in any way that makes you comfortable whether it be company check, cashier’s check or green cash. Also, safety and privacy is a major concern when deciding to sell your car to a dealer as opposed to selling your car privately. We are a licensed and bonded California dealer and offer a safe and well known brick and mortar location. Dennis Buys Cars has been at the same spot since 2003. Consequently, this is especially important if you are a woman selling a car. Don’t risk having strangers coming to your house and the result will be them knowing where you live. Remember, Smart phones are smart! In addition, let’s say some guy comes to look at your car and decides he is more interested in you! Don’t run the risk of unwanted individuals having your cel phone number or any personal information. Furthermore, we buy Classic Cars. We will buy late model cars, trucks, motorcycles and SUV’s. We buy all luxury cars and have an unlimited budget. In closing, we have great Yelp reviews and tons of FUN VIDEOS. Check out our inventory of all types of vehicles. 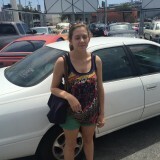 Maria Finally Decided To Sell Her Precious Honda Civic! Dennis Goddard: We have Maria and Robert and I see you’re selling your little baby today. Maria: Yes, a 1999 Honda Civic, Dennis. Dennis: Wow, it looks pretty nice and it made it hear all the way on its own? Maria: It really did, from Century City. Dennis: Tell us the history of this car. Maria: I bought this car when I just graduated from high school, 19 years ago, right off the lot, paid 500 over invoice and I keep it for all this years. Now I’m going to part with my baby. Dennis: Wait, how could you possibly own this car for 19 years when you don’t look a day older than 19? Maria: Thank you Dennis I appreciate it. 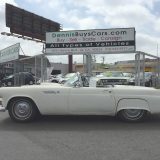 Dennis: Tell us why did you decide it to sell it to a dealer as opposed to selling it privately? Maria: Good question, why do you go with Dennis babe? Robert: I wanted to sell it, but I had no idea, like she said, we haven’t bought or sold a car in a while. I wanted to be easy and simple. I looked online for How to Sell a Car in Los Angeles. The first thing, maybe not the first thing, I would think probably the first thing. In the first 5 minutes I found you and then I started researching, looking at Yelp, you had videos on YouTube, tons of people vouching for you and you’re close by to us, and I was like, let’s give it a shot. Dennis: Did you guys look at the videos? Dennis: What was your favorite video? Maria: I liked the kid from Indonesia. He was driving I think a Mercedes luxury car, he got here and wanted to call his mother and get permission. It was legitimate, it was a good deal and today its been so fast and care free. It’s been a great experience. Dennis: He was here for about 7 hours, I thought he was gonna end up living here. Maria: Exactly! No he was good. Robert: I heard histories about some of your competitors, you sit there for 3 hours you know and we don’t have time for all that. Dennis: How long did it take, this whole process? Maria: I took less than 30 minutes since we been here from start to finish, fantastic. Dennis: Plus all the yacking, I took a little longer than normal. Robert: We called randomly on Sunday afternoon, he answered the phone and said can you come in tomorrow, told us time, he was here, we were here and all worked out. Dennis Answered the Phone on a Sunday! Dennis: Robert, so you were the one that did the search online for How to Sell a Car in Los Angeles? Dennis: Now, do you remember what it was that you typed in when you did the search? 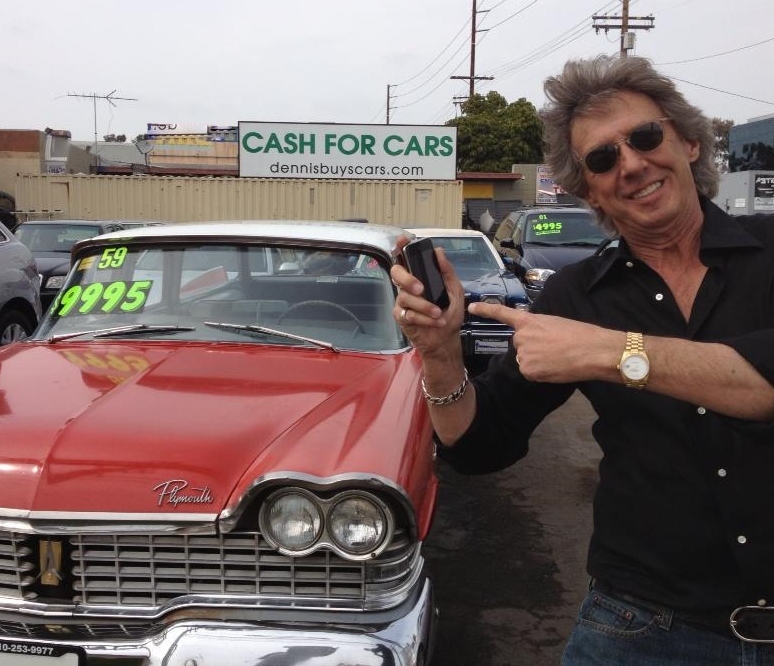 Robert: I think it was, sell a car in Los Angeles or how to sell a car in Los Angeles. Dennis: OK, great! Well, whatever it was it got you here. What was the best part of the transaction today? 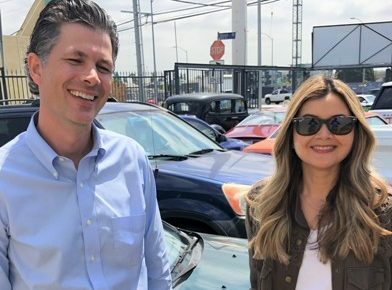 Maria: I think that you are authentic as you were online as in person, we needed to know How to Sell a Car in Los Angeles and you gave us a great deal, excellent. Dennis: I really appreciate. Thank you so much and you just bought a brand new Mercedes right? Dennis: Make sure you come back in 19 years. Maria: I’ll see you in 19 years.